In the rich pastureland above the village of Rimington, up in the foothills beneath Pendle, a herd of around 75 pedigree Shorthorn cattle munch the verdant grass contentedly. 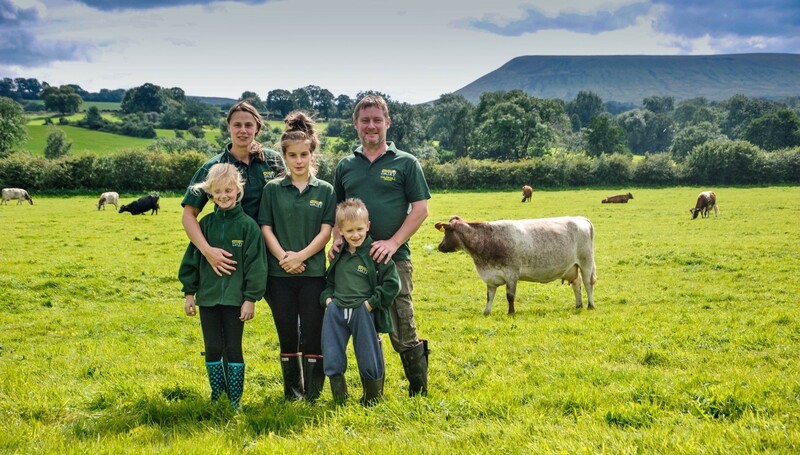 These happy cows are at the heart of a traditional mixed farm where Emma Robinson heads up an organic dairy operation which continues to produce full fat cows milk the traditional way. The result is a raw natural milk with a creamy yellow colour with all the probiotic natural enzymes alive and well and slightly sweet taste often missing from heavily processed milk. “Gazegill has been in our family for more than 500 years, so have an instinctual understanding of the land and what it’s capable of producing,” explains Emma. “The farm has never been a high intensity operation and we made the decision to go organic in 1998. The cattle are out in the meadows for as much of the year as possible and are fed only on natural hay during the winter. Shorthorns are a traditional breed from northern England that are hardier than Friesians and tend to be better at looking after themselves. “They’re better suited to an organic system and although the yield is lower, the fat content is higher so the milk tastes more creamy. We never push our cows for higher yields nor do we fill them with proteins and hormones that are often used in more intensive dairy farming. It’s a similar story with meat production at Gazegill, where the watchwords are organic and low intensity. All the meat sold at the farm shop is 100% organic and grass-fed and the entire farm is free from artificial hormones, antibiotics and genetically modified products. Emma and partner Ian O’Reilly will be hosting a small group of guests at Gazegill for a wander around the farm followed by a taste of the organic range of foods for sale in the shop – or online. “We’re looking forward to welcoming guests and showing them round and explaining why an organic approach is so much better for both the environment and the animals we raise within it,” said Emma. Join us for breakfast before tackling a five-mile walk up and over the 1821ft high summit of Pendle Hill followed by a hearty late lunch at the Barley Mow. The Pendle Landscape Partnership project is all about forging new connections and bringing the two sides of Pendle Hill closer together. And what better way to link the villages beneath eastern and western slopes of the hill together than following a spectacular route between the two? So we’ve come up with a challenging but rewarding walk that links two of the area’s most popular pubs in Downham and Barley via the summit of Pendle. The Landscape Partnership has teamed up with the Seafood Pub Company to coordinate the Big Foodie Foray Walk. This is an amazing opportunity to admire some of the best views in Lancashire from the newly extended summit shelter and discover some of the newly restored footpaths which the Landscape Partnership team have renewed. And after such a demanding hike, what better way is there to round off the day than tucking into a hearty feast with your fellow summiteers? Walkers will meet at Barley Picnic Area Car Park, before they are whisked over the fell to enjoy a brew and bacon butty at the Assheton Arms before starting their walk in the picture postcard village of Downham. The route gently ascends the foothills of Pendle before ramping up for the final steep stretch up to the summit. After a brief stop on top for selfies and (weather permitting) some stunning views, we’ll descend via ‘The Steps’ to Barley, where a hot meal will be served at the Barley Mow. Seafood Pub Company managing director Joycelyn Neve said: “We’re so lucky to have a pub on both sides of Pendle Hill; we get to enjoy the stunning surroundings every day, to share this with a great walk, breakfast and lunch is pretty much the perfect day! The walk will lead by members of the Pendle Landscape Partnership, who will be happy to explain the projects underway and show how they will benefit the area, residents and visitors. Places are limited and we expect this event to fill up quickly, so click on the link to reserve your places. Walking boots and waterproofs required and a reasonable level of fitness. Dogs on leads welcome. Pubs at either end are dog-friendly. 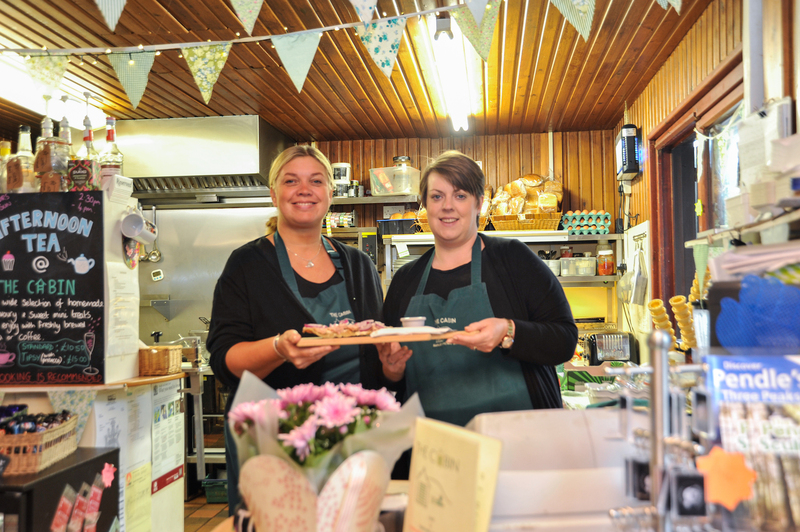 The legendary ladies who run the iconic Barley Cabin have resurrected a traditional Pendleside delicacy which will be on the menu throughout the foodie foray. Don’t miss it! 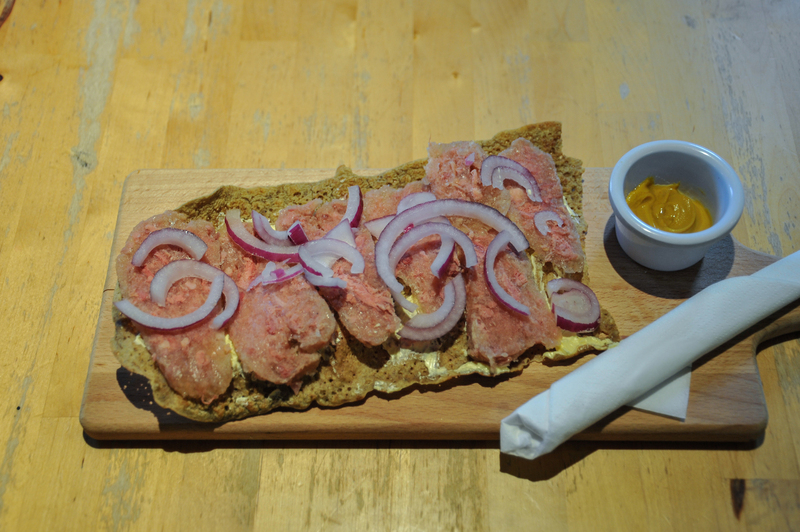 Long before the arrival of fancy continental patés and delicate little morsels of bruschetta, Pendle had its very own meaty finger food: Stew ‘n’ Hard – a meat paste served on a slab of dried oat cake and garnished with onions. The origins of this forgotten foodstuff are difficult to pin down, but the ‘hard’ is thought to date back to pre-industrial times, when oats were a staple of the East Lancashire diet and the area was home to a number of oat mills. The ‘stew’ is made by boiling up whatever offcuts of meat could be found with bones and marrow and then allowing to it to cool and set. The result is a rich, savoury spread which compliments the crispy oat bread. A garnish of sliced red onions adds a bit of zing and a smear of mustard livens it up still further. When Paula and Toni, who run the cabin, have put this traditional Pendle dish on the menu, and when word gets around it flies out. “We both used to work at the Pendle in when we were learning our trade and Stew ‘n’ Hard was always popular back then,” said Paula. “It’s perhaps a bit plain for modern tastes, but for many locals, it’s as much of a staple as fish and chips or bangers and mash. “I’ve asked people about its origins and it’s not really clear when it was first made and there isn’t really a definitive recipe, but you can see that it would provide some much-needed calories quite economically for working folk when times were hard. 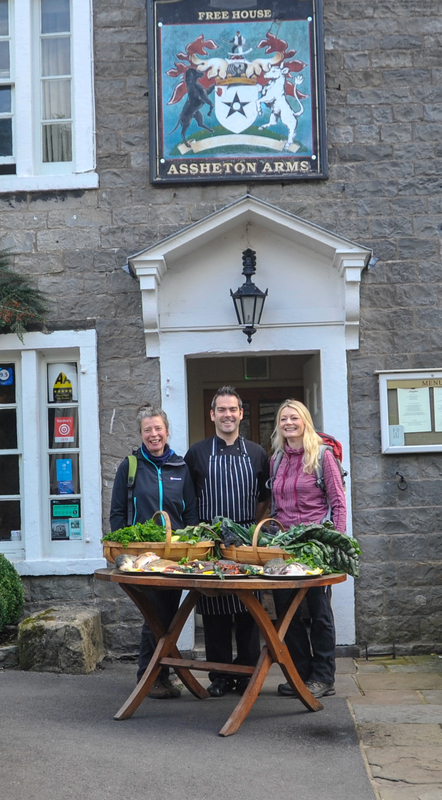 Stew ‘n’ Hard will feature on the menu at Barley Cabin throughout the Pendle Foodie Foray. Bitesize portions will be available for visitors who just want a taste. The Cabin will be the finishing point for us after a relaxed six-mile circular walk, taking in the unique Clarion House , where there will be a short talk about some of the Pendle Hill Radicals. A special menu at the Cabin will include a selection of local specialities including Stew ‘n’ Hard and a Pendle Platter. Freemasons, Wiswell: The Best Pub in the World? Steven Smith is on a mission: to create the best pub in the world. 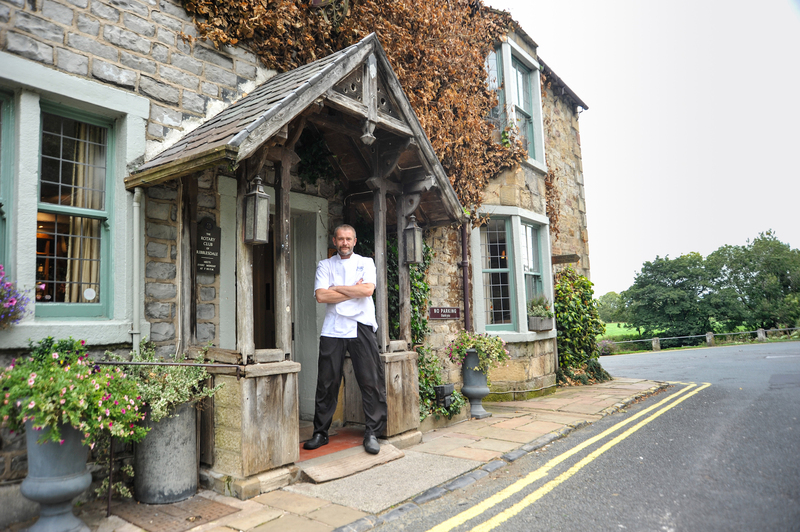 Yet for dedicated foodies, the food on offer at the Freemasons in Wiswell is much more sophisticated than pub grub, winning a string of prestigious awards in recent years. The Freemasons won the 2017 AA Restaurant of the Year for England, alongside being the top NW pub in the Top 50 Gastropubs, 18th in the National Restaurant Awards, one of the only pubs to make The Sunday Times Top 100 Restaurants and for the third year in a row, the No.1 pub in the Good Food Guide, with a seven out of 10 (the first pub in the Guide to receive that ranking). He was also awarded the Special Contribution Award for Food Excellence at the 2018 Ribble Valley Stars in Tourism Award, for his contribution to raising the profile of the Ribble Valley nationally and ultimately helping to drive footfall into the area. “Most people in this part of the world are more comfortable in a pub environment – myself included. Pubs are inclusive and most Lancastrians feel at home in them, so for me, it’s the perfect environment in which to deliver the best food we can. Steve is currently working on the menu for a gala dinner – a prestigious finale to the Foodie Foray which will celebrate the best of local and seasonal produce. “To produce the best food, you need access to the best raw materials,” said Steve. “It’s all about having good relationships with your local suppliers and in this part of the world, we have some first rate suppliers. Seasonality is at the heart of Steve’s menus and the kitchen at the Freemasons are gearing up for one of Steve’s favourite times of year. “I really do think the hills and valleys of East Lancashire are just the best place to be in autumn. You can walk into a pub and fire’s roaring and there’s usually game dish on the specials board. 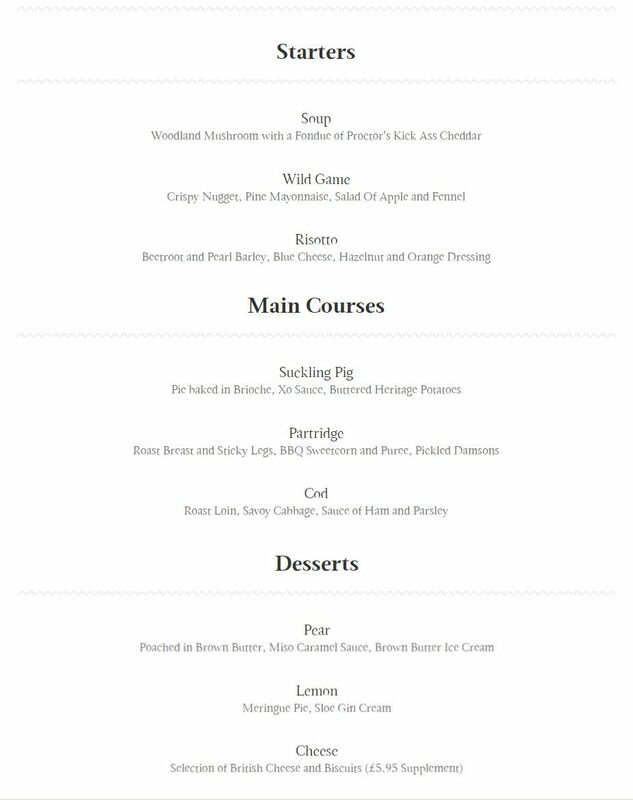 Steve is still finalising the menu for the Gala Dinner at the Freemasons in October, but it will almost certainly feature game in one form or another. 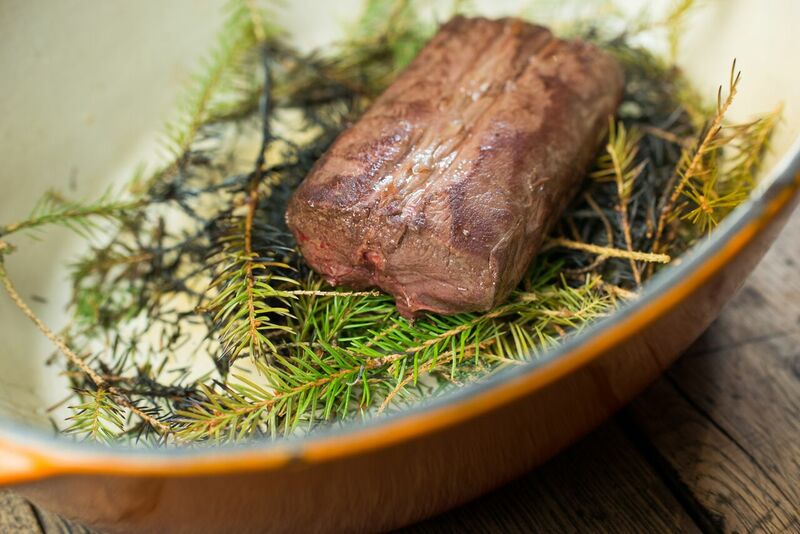 “As always, it depends on what’s good and available locally: it might be pheasant or partridge, hare or venison, but I’m almost 100 per cent certain that the menu will feature game, autumn fruits and wild mushrooms. It might even be the best game supper in the world. On the quiet country lane between Chatburn and Downham, an elegant Victorian farmhouse has quietly morphed into one of the most talked about eateries in East Lancashire. As well as being blessed with one of the prettiest views in the Ribble Valley, this informal café and boutique B&B is the place to head to sample some of the best home-made cooking in the area. Chef Trevor Rutherford uses only the best local ingredients and makes pretty much everything on the menu from scratch. He makes bread every day by hand on the premises using organic wholemeal flour. The approach is identical for his pies, whose hearty fillings are also made from scratch in the kitchen at Greendale. Hailing from a family of bakers, Trevor borders on the obsessive when it comes to quality. 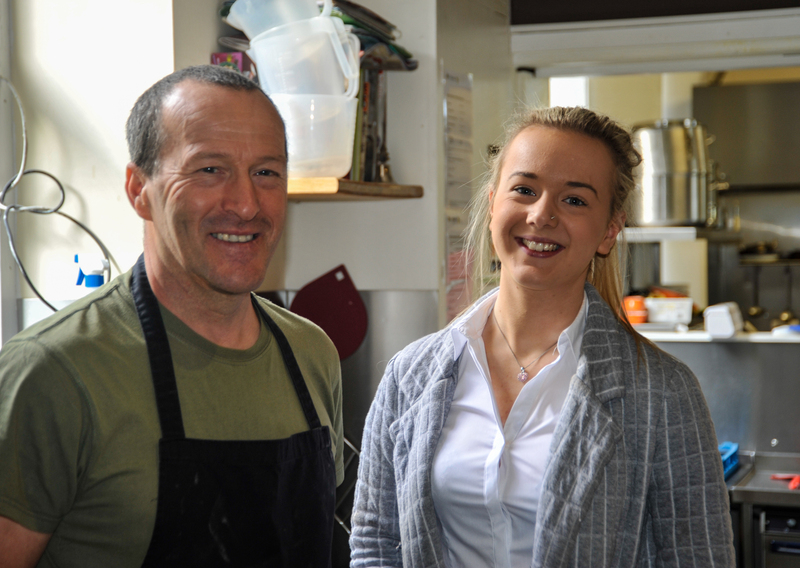 Along with his wife Louise, Trevor ran Puddleducks Café in Dunsop Bridge for 10 years and really put this bustling restaurant at the Centre of the Nation on the map. The couple took over at Greendale in 2015 and have been joined by son Ashley and daughter Kelsey. The simple, hearty menu majors on pies, hearty stews, soup and – of course – bread. The addition of the early shift marks a new expansion of the operational Greendale, where Trevor and Louise have opened four individually furnished letting rooms and word is spreading about the quality of the full English breakfast on offer. “It might seem a bit carb-heavy for modern tastes, but because all the baking is done in-house, using the best flour, it’s all surprisingly light,” said Trevor. A special set menu reflecting the season’s best produce and showcasing local suppliers and delicacies. 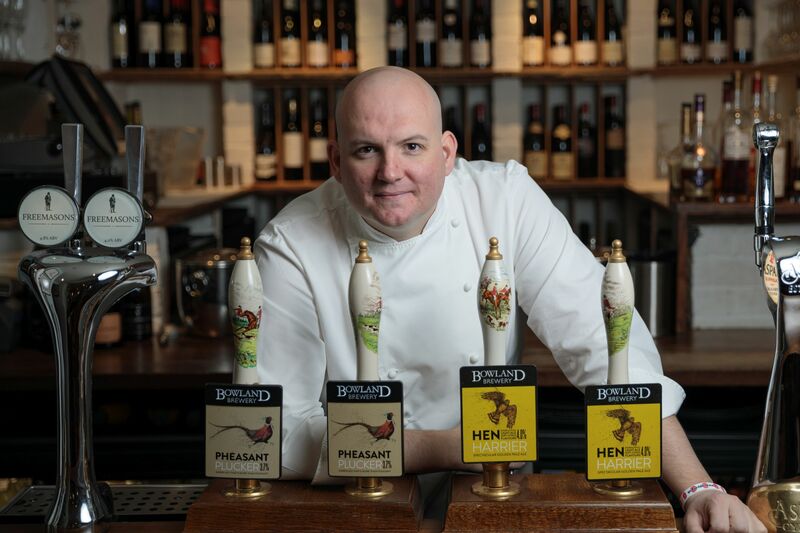 Chef Greig Barnes recently celebrated 20 years at ‘the Spread’ during which time tastes have changed dramatically, with authentic local produce making a welcome return to the menu. Greig is planning a choice of two starters, mains and desserts for his seasonal set menu, which will showcase some of the area’s best autumn produce. Part of the award-winning Individual Inns group, which also owns the Tempest Arms in Elslack and the Mason’s Arms at Strawberry Bank, The Spread Eagle offers both traditional and contemporary dishes in a friendly, informal setting. Tapas-style plates and boards blending traditional Lancashire staples such as cheese and black pudding with international flavours and influences are becoming increasingly popular and there’s even a dedicated three-course doggy menu! Greig’s seasonal Foodie Foray set menu will be available all week – keep an eye on social media for details of the exact menu.